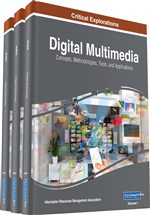 The chapter addresses how multimedia presentations can be designed effectively for learners. Based on the literature, it defines the related terms and discusses the role of human factors during the design and development process of multimedia. Then, it discusses strategies, such as providing learner control and using visual cueing, to design effective multimedia presentations. In addition, various technologies in creating multimedia-based instruction are described. Finally, the chapter discusses evaluation frameworks, as well as the implications for integrating multimedia into educational practices. We know the old saying that “A picture is worth a thousand words”. And many times we assume that learning from the combination of words and pictures should be better than learning from words alone. That may be the major reason that we have illustrations in the printed textbooks, we have a job aid with static screenshots and text labels to show you how to install a piece of software, or we have a narrated video to get you started for a brand new laptop with a new operating system. Sometimes however, as a teacher, an instructional designer or a developer, you may rely solely on your experience and intuition to design and develop a multimedia presentation without evidence-based guidance. Your target audience may still find the instruction difficult to understand even with the combination of words and pictures. In this chapter, we will define multimedia related concepts and discuss human factors and strategies for effective multimedia design and development in the hope of inspiring both research and practice. To guide educational practices, we will also identify technologies for multimedia design and development, provide evaluation frameworks for effective multimedia products, and discuss implications for integrating multimedia into practices.